Spotify is one of our favorite music streaming services and one thing you might not know is that to use it, you don’t need to download an app: you can use it straight from your web browser. 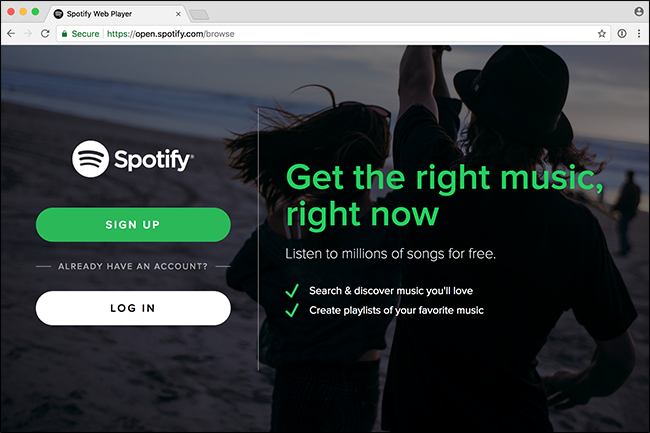 Spotify’s Web Player works in Google Chrome, Firefox, Edge, and Opera. The only notable absence is Safari. To use it in one of the other browsers, head to play.Spotify.com and sign in. If you don’t already have a Spotify account, you can sign up for free; the free plan has never been better. If you use the web player while on the free plan, you’ll have the full Spotify free experience. You’ll just hear a few minutes of ads every hour so that Spotify can pay the artists. We, however, do think it’s worth paying for Spotify if you use it a lot. The Spotify Web Player is laid out almost identically to the desktop app. You can create playlists (and access those you set up in your app), browse featured recommendations, search for specific artists and songs, and even switch over to the Radio mode. You also have access to everything in the Spotify catalog that you’d have in the app. Select what you want to listen to, click the Play button, and you’re good to go. While the Spotify Web Player is certainly convenient, it does come with a couple of downsides. Audio files are streamed at a lower bitrate through the Web Player than the desktop app. Free subscribers get 128kbps from the Web Player but 160kbps from the desktop app. Premium subscribers get 256kbps from the Web Player but up to 320kbps from the desktop app. The media playback controls on your computer or headphones won’t work with the web player. 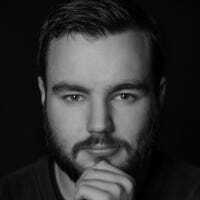 If you are using your own computer, it’s probably a good idea to download the desktop app. 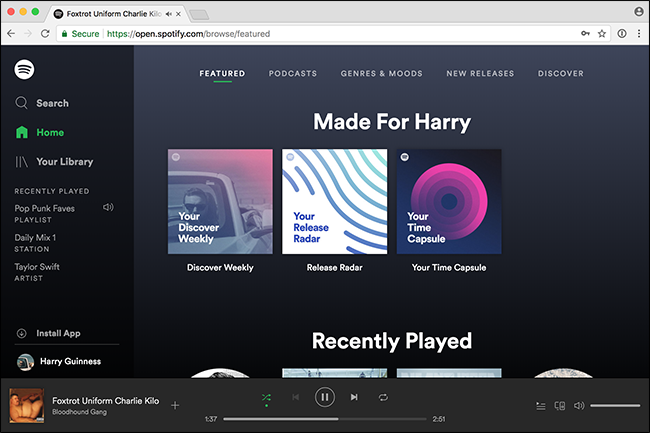 However, if you’re borrowing a computer and want to listen to some tunes—or if you use a Chromebook—then the Spotify Web Player is awesome; it’s a much better way to listen to music than YouTube.